SUWANEE, Ga. -- The owner of a massage parlor was arrested and charged with several counts of sexual abuse. Jianghong Wang, the owner of BLC Massage, is charged with Sexual Battery, Aggravated Sexual Battery and two counts of Simple Battery after police say he assaulted his clients during their messages. BLC Massage is located at 3255 Lawrenceville Suwanee Rd. Suwanee police said they started investigating the business after a woman came to them earlier this month. "The initial victim came forward and said that during the course of the massage she had been touched inappropriately," Capt. Cass Mooney said. A woman claiming to be the co-owner of the business said nothing ever happened. "It's already hurting business," said Amy Lee. "Never anything happened." GWINNETT COUNTY, Ga. -- A police department has decided not to file charges against several Gwinnett County students accused of hazing. Six Parkview High School upperclassmen were accused of hazing incoming freshman in hotel rooms at an out-of-state tournament in June. An allegation was also made of inappropriate physical contact by an older student toward one of the freshmen. GWINNETT COUNTY, Ga. -- A large water main break shut down part of Buford Highway and impacted water service to at least one school, as well as several other customers in the area. The break happened in the area of Buford Highway and Woods Creek Lane in Suwanee. Gwinnett Water Management said a 10-inch main broke. The cause was not immediately known. Roberts Elementary School did not have water service Tuesday morning. Gwinnett County Schools spokeswoman Sloan Roach said classes were not canceled. Instead, water trucks were brought to the school, and students were given bottled water. Gwinnett County spokeswoman Heather Sawyer said water service was restored late Tuesday morning, and a temporary repair to the break is expected to be in place by 5 p.m. No boil water advisory was issued. 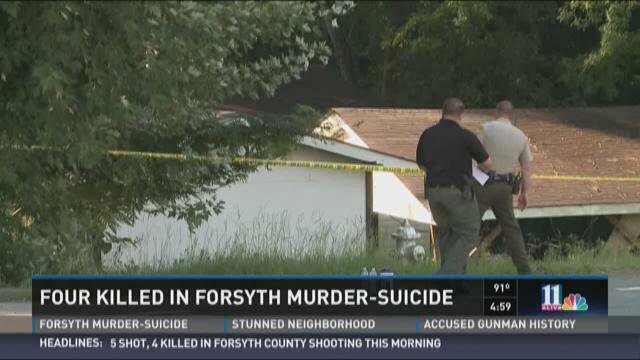 FORSYTH COUNTY, Ga. -- Deputies had been called 54 times in seven years to a home that was the site of a murder-suicide last week. Authorities say Matthew Fields shot and killed his 32-year-old wife, Rebecca Manning, and her two children last week before killing himself. He also shot and wounded Manning's 75-year-old father. ATLANTA (WXIA) -- Investigators continue to try to pinpoint what drove a man allegedly to shoot and kill his wife and her two young sons in their Forsyth County home Wednesday morning. And no one is more heartbroken than the witness who may have been the last person outside the home to see the boys alive. It was the evening before they were murdered. She called 911 when she saw the boys in the front yard as their mother and her husband were screaming at each other in a violent confrontation. What did not happen next haunts her. SUWANEE, Ga. – Authorities say the suspected gunman in a Forsyth County murder-suicide had a history of run-ins. SUWANEE, Ga. – Two young children were among four people killed in a shooting in Forsyth County early Wednesday. Authorities say 32-year-old Matthew Fields shot his wife, 37-year-old Rebecca Manning, her two children and her 75-year-old father, Jerry Manning. Police believe Fields then shot and killed himself. The two children, 8-year-old Jared Will Smith and 9-year-old Jacob "Jake" Jerry Dean Smith, were students at Johns Creek Elementary School. Neighbors said that Jared's 8th birthday was just last week. 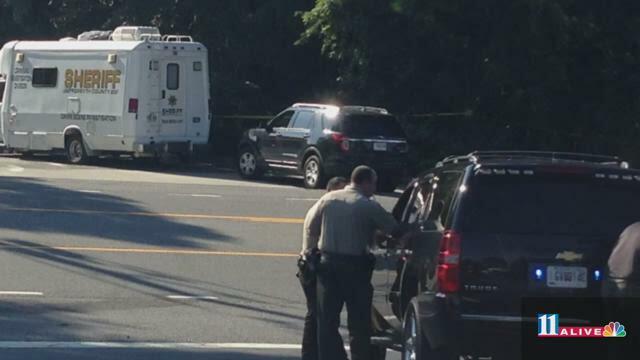 SUWANEE, Ga. -- A shooting incident on Old Atlanta Road has left multiple people dead Wednesday morning. Five people were shot, four were killed in a shooting incident, which took place at a residence off of the 5500 block of Old Atlanta Road in Suwanee. According to Forsyth County officials, the gunman called his mother in Dawson County and told her he had shot four people and was going to kill himself. The mother called 911. FORSYTH COUNTY, Ga. – The suspected gunman in a deadly shooting in Forsyth County was a convicted felon, the 11Alive Investigators have learned. Authorities believe 32-year-old Matthew Fields shot his wife, 37-year-old Rebecca Manning, her two children and her father early Wednesday. Fields then died of an apparent self-inflicted gunshot wound, police said. 11Alive Chief Investigator Brendan Keefe has learned that Fields was given many second chances after convictions for burglary and forgery, and for violating the probation he received instead of prison time. GWINNETT COUNTY, Ga.—Residents of a Suwanee neighborhood are concerned after a cat was shot with an arrow. The cat is expected to be OK. Some residents in the subdivision say they are concerned about the person who launched the arrow doing it again and hurting, or killing, a family pet. The woman who found the cat says a local animal rescue group helped her set up a trap to catch the feline so they can treat the open wound.